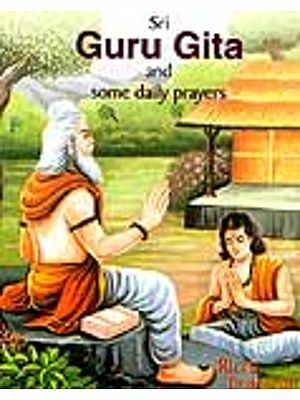 A spiritual guide is addressed as Guru, Acharya, Master or teacher. Several have walked upon our earth, giving great clarity to mankind and having referred to as Avatar or manifestations of God himself. Whatever name by which they may be called, we owe our obeisance to these divine people, as they have realized the truth and are free in themselves, being able to give the world right knowledge, which is beyond the logical understanding of the human mind. Yet this knowledge has at all times liberated and helped people, being able to give a wider and more peaceful perception of life, confidence and simplicity which are characteristics of spiritual awakening. In India, a Guru is revered with deep gratitude. In spite of so many wars, invasions, rulers and hard times, India has always thrived because of her culture and the value she holds for people endowed with knowledge of subjects of the experiential or help one become better is treated with utmost respect and praised as the Guru. Some people do have a distinct purpose in life to serve and liberate humanity. Others, who are unable to recognize the true nature of life, often need to take guidance from those who are endowed with spiritual clarity, who are able to provide peace, bliss and a sense of wholeness to these seekers. These Gurus are the special embodiments of selflessness and divinity. A Guru can mould man, making him loving, compassionate, humble and free from conflict, slowly elevating his consciousness to that of the divine. The experience of freedom and absolute joy can be given by a Guru who is willing to transfer his own states of spiritual awakening to others. This Guru is sacred as God. "Creation" is an ocean of consciousness and we take different routes but what remains in merger at the end, is consciousness alone. We take different routes but what remains in merger at the end, is consciousness alone. We shall thank every guru whom we encounter who has helped us become a larger drop of consciousness, finally taking us to the vast infinity of limitlessness and oneness. The guru serves as a door that opens, leading us to the freedom and beauty of pure and glorious life. 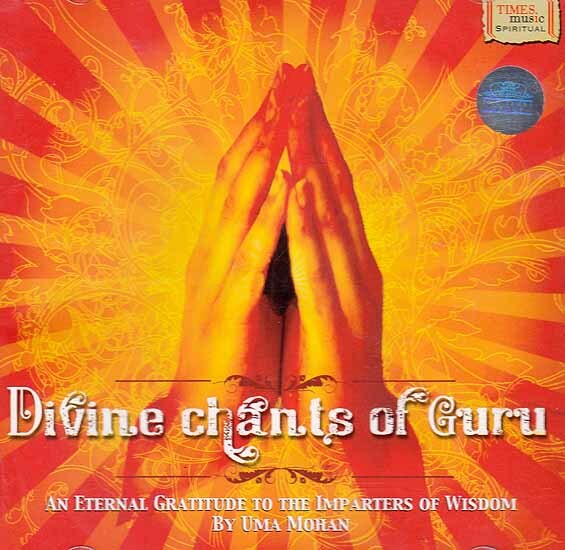 The album "Divine Chants of Guru" is a gratitude to all those great guides, especially dedicated to veda-vyasa. He was the Sadhguru, who gave the foundation to the Hindu religion by splitting the Vedas, compiling the Puranas, authoring the Mahabharata and Brahma sutra, the very quintessence of the Dharma. Vyasa was named Krishna Dwaipayana at birth. The son of Sage Parashara, grandson of Sage Vasishta and the father of Sage Shuka, his lineage was that of grand Gurus. He was called Vyasa which literally means "to split" since he divided the Vedas as four for easy comprehension and application. He is considered the forerunner of all gurus, even though the generations before him have been teachers. Guru Poornima is the day on which Veda vyasa was born and is celebrated every year on the full moon day in the month of Ashada of the Indian lunar calendar. This album is a tribute to all gurus, who have taught the world to live a better life, opening their consciousness to the eternal truths revealed by religion. Gurus like Vyasa are always equated to God or Narayana, who emerges "from" man, for the purpose of giving him freedom from suffering and sorrow. Narayana is the manifest God who comes in various forms to alleviate man in times of difficulties. It is natural for man to respect one of higher intelligence and spiritual knowledge. Vyasa was equated to Narayan or God for having given clarity to mankind in a phenomenal way. Religions have always given wise words of great relevance to making our journey through life most pleasant and stress free. These teachers have given up their "selves" to be able to help others, giving peoples the clarity to look within themselves more clearly and spread joy all around, which is essentially the purpose of every life. These Gurus are Gods manifested as the Sagunabrahma (God having attributes) to whom we relate. They elevate our states selflessly, and give to us a freedom never experienced before. They are higher souls with higher goals. To all these Gurus, I give my gratitude and adoration in these songs sung to praise every such beautiful creation venerated as a Guru, who has taught someone something making him see with an eye free of ignorance. This guru is Brahma, He is Vishnu, and He is Shiva, He is the Para Brahman which is beyond comprehension, and to him I pay homage, worshipping the guru, through this musical offering.